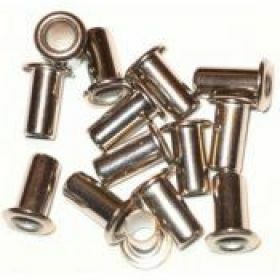 These are BRASS , With NICKEL PLATING . 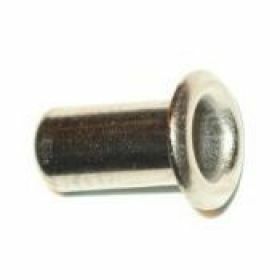 NOT cheap STEEL, so they will NOT RUST, nose grommets With a 0.152" OD and a tight 0.132" ID, they make a snug fit with 0.062" diameter thru wire. 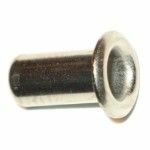 The barrel is 5/16" long measured from under the flange specifically selected for poppers, darters, needlefish and any other plug where similar dimensions are critical. Available in 100, 500, 1000 and 5000 packs. Select package size when ordering. Call us for quote on larger quantities (up to 500,000). We can also run custom grommets in runs of 500,000 pieces plus. Call us for quote. We will beat anyones price!